← Guess Who’s Coming to Dinner? A true story of the real Palaeolithic diet! Patagonia. The name conjures up exotic windswept plains, adventure, and danger. A by-word for a region as foreign as Timbuktu. This remote section of Argentina and Chile holds many mysteries. In the south, Tierra Del Fuego, the legendary land of fire, where Darwin and Fitzroy spent time mapping and theorising on the Beagle’s long voyage. To the north, the extensive pampas and fertile grassland. Patagonia is a hard land, now home only to a few species: the rhea, the puma, some rodents, occasional guanacos. 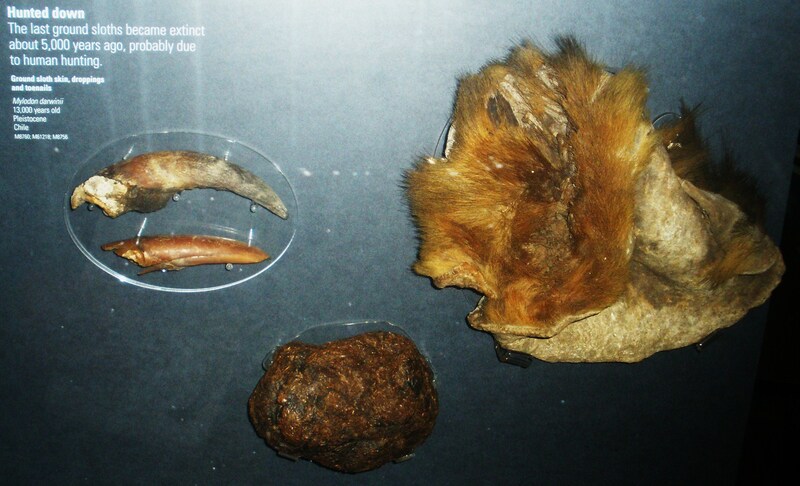 How different things were in the Pleistocene! Then, Patagonia had giant sloths, hippidiform horses, macrauchenia, giant jaguars, sabretooth cats, short-faced bears, native foxes, giant rodents, and other extinct species. It was essentially a uniquely South American Serengeti: a fully functioning ecosystem with megafauna, mesofauna, and microfauna. In new research, an incredible cross-disciplinary scientific analysis using genetics, radiocarbon dating, and modelling has investigated Patagonian megafauna. Here in the cold southern reaches, fantastic preservation, equal to that of the Siberian permafrost has allowed new insights to be made into the extinction of the Pleistocene giants. Researchers (myself included) looked at the phylogeny of the megafauna, and when they went extinct. Two big surprises resulted from this work. Firstly, many of the populations that went extinct were actually completely distinct from their modern day congeners. The Patagonian guanacos, jaguars, and pumas were genetically separate from the animals found in South America today. For the guanaco and jaguar, the extinct Patagonian populations were probably at least on the level of subspecifically distinct. Cryptic extinctions of unique evolutionary lineages have been missed by just looking at the bones. Only when examining the DNA can we see how distinct populations have suffered the same fate as the other megafauna. The second surprise came when modelling the radiocarbon data against the known appearance of humans in southern South America. Thanks to iconic sites like Monte Verde, and a vigorous archaeological record spanning the late Pleistocene to Holocene, we have a pretty good idea of when people made it to the lowest latitudes. Sophisticated Bayesian models were used to compare extinction dates (last appearance dates) for the megafauna and first appearance dates for humans. The result was a surprise. Humans and megafauna overlapped for at least a thousand years (perhaps even more than two thousand) before there was any sign of extinction. However, the extinction of multiple megafaunal species did appear to cluster together around 12,300 calibrated years BP. Looking at climate data from the same time period, we saw that this coincided with a distinct warming period. As this warming reached its peak, the megafauna all disappeared. Our conclusions from this wide study were that its not as simple as the “Blitzkrieg” model, where humans move into a region and the large animals go extinct within a few decades. 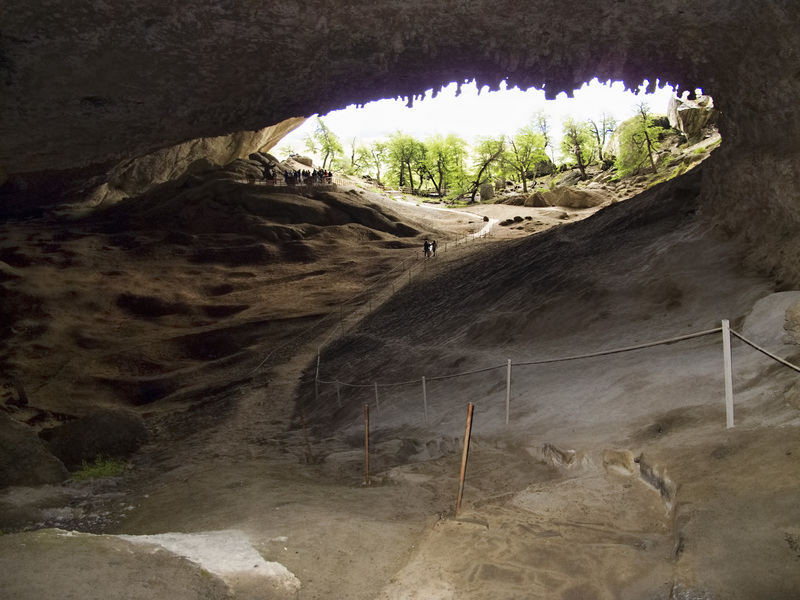 In Patagonia, there appears to have been a synergistic interplay between human hunting and climatic conditions. If humans had not been around, the megafauna may have survived the stresses and upheavals of oscillations between warming and cooling as they had done for aeons previously. However, the combination of human hunting and then climate together proved too much for them to cope with. Does the Ground Sloth Still Survive in South America? Heusser, C. J., L. A. Borrero, and J. L. Lanata. “Late Glacial Vegetation at Cueva Del Mylodon.” Anales del Instituto de la Patagonia 21 (1994): 97-102. Lönnberg, E. “On a Remarkable Piece of Skin from Cueva Eberhardt, Last Hope Inlet, Patagonia.” Proceedings of the Zoological Society of London (1900): 379-84. ———. 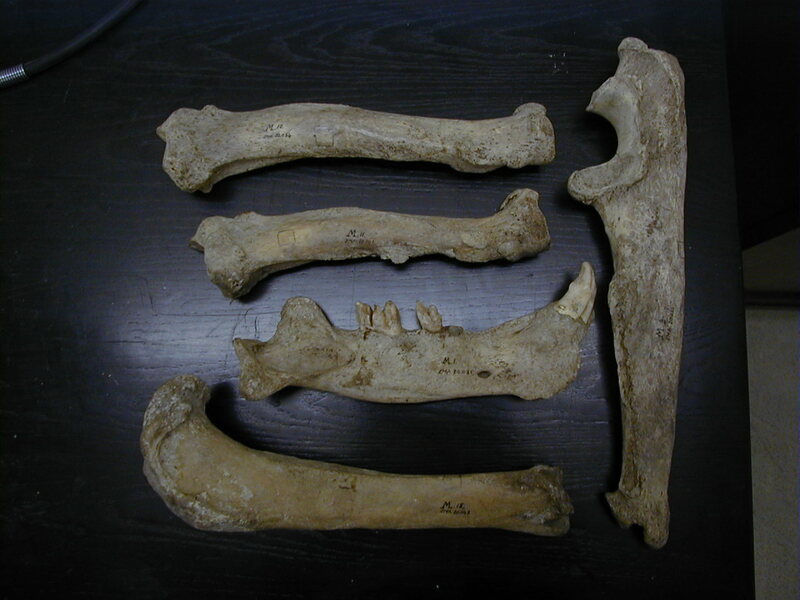 “On Some Remains of “Neomylodon Listai” Ameghino Brought Home by the Swedish Expedition to Tierra Del Fuego 1896.” In Svenska Expeditionen Magellansländerna, 149-70, 1896. Salmi, M. “Additional Information on the Findings in the Mylodon Cave at Ultima Esperanza.” Acta Geographica 14, no. 19 (1955): 313-33. 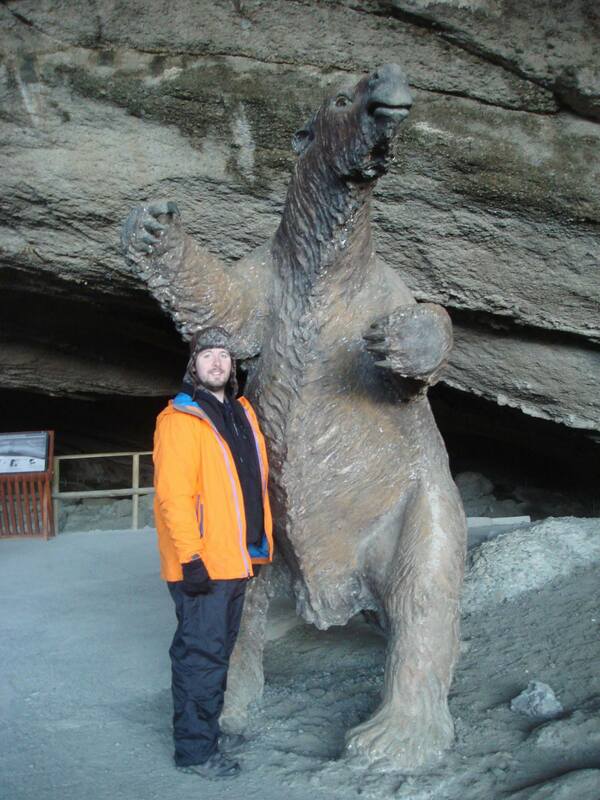 This entry was posted in Extinction, Ground Sloth, Horse, Macrauchenia, Sabre tooth Cat, Short Faced Bear and tagged Arctotherium, Arctotherium tarijense, Charles Darwin, Extinction, guanaco, Hippidion, Humans, llama, megafauna, Monte Verde, Mylodon Cave, Mylodon darwinii, Panthera onca mesembrina, Pararctotherium, Patagonia, Pleistocene, radiocarbon, Ross Barnett, Smilodon populator. Bookmark the permalink. Does this mean that thèse diggers gave rise to horses? Like shheep and aryiodactylae gave rise to whales!! !